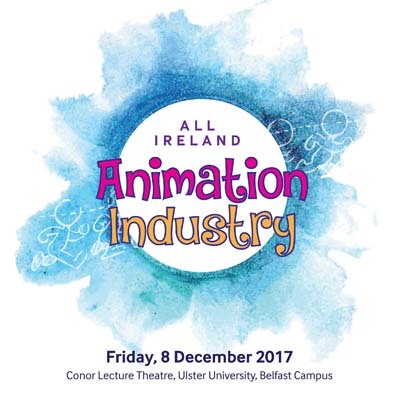 To discuss current trends and the outlook for the future animation industry both in Northern Ireland and beyond, a conference is being hosted at Ulster University on 8 December 2017. This conference is free and is designed for those working or hoping to work in the animation or gaming industry. This event brings together some of the leading figures from the industry both locally and internationally. Speakers include the Chief Executive of Northern Ireland Screen and representatives from Jam Media and Paper Owl, as well as Professor Greg Maguire of Humain, and gamer creator and entrepreneur William Barr of BillyGoat. Two internationally acclaimed and award winning animators are also part of the line-up. Victor Perez from Rome is a world leading visual effects creator and film director, whose work includes a number of Hollywood films, such as The Dark Knight Rises; Rogue One: A Star Wars story; 127 Hours and many more. He has written and directed two short films and received more than 27 awards and nominations for his debut Another Love, and his latest short film Echo uses pioneering, never seen before motion control technology. Catherine Mullan, originally from Northern Ireland, now based in London, has been a leading animator in some of the biggest films to hit our screens in recent years including Avatar, Harry Potter, Happy Feet, Pirates of the Caribbean, X-Men: First Class, The Chronicles of Narnia, Maleficent and many more. The conference will focus on both traditional and new ways of creating content as well as offering new business strategies to help those entering the industry but also to provide inspiration and new ideas for those working in the industry already.